Graphic Design is a creative process - most often involving a client and a designer and usually completed in conjunction with producers of form (i.e., printers, signmakers, etc.) - undertaken in order to convey a specific message (or messages) to a targeted audience. The term "graphic design" can also refer to a number of artistic and professional disciplines that focus on visual communication and presentation. The field as a whole is also often referred to as Visual Communication or Communication Design. Various methods are used to create and combine words, symbols, and images to create a visual representation of ideas and messages. A graphic designer may use a combination of typography, visual arts and page layout techniques to produce the final result. 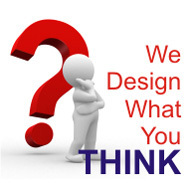 Graphic design often refers to both the process (designing) by which the communication is created and the products (designs) which are generated. Common uses of graphic design include identity (logos and branding), publications (magazines, newspapers, and books), advertisements and product packaging. For example, a product package might include a logo or other artwork, organized text and pure design elements such as shapes and color which unify the piece. Composition is one of the most important features of graphic design, especially when using pre-existing materials or diverse elements.